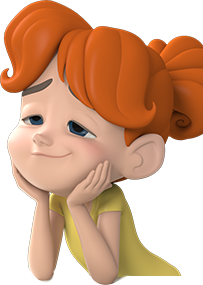 Appealing, expressive characters are the heart of AnimSchool! At AnimSchool, we eat, drink, and sleep animation! We love animating, and we want students who share our enthusiasm. Students learn about posing, drawing, appeal, principles of motion, acting, and the classical principles of animation. Each week, animators from film and game studios work with the students one-by-one, giving the students a guided opportunity for growth. 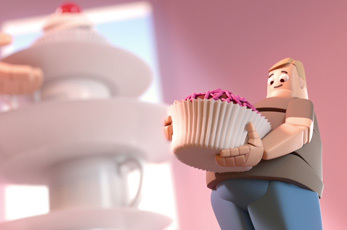 Animation is about bringing characters to life. This is a very demanding and competitive discipline, but for those of us in the field, all the hard work is worth that magic result: a character who seems to come to life on the screen. Our students learn animation from instructors from top-grossing animation studios. 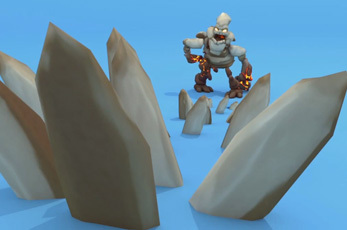 Our 3D Animation program is divided into 2 parts, the Animation track, and the Animation program. The Animation track consists of classes 0-3. These classes form a foundation of Animation skills to prepare students for success in the Animation Program. Classes 4-7 make up the Animation program. Successfully completing the program classes will prepare a student to work in the industry as well as make a student eligible for a certificate of completion. 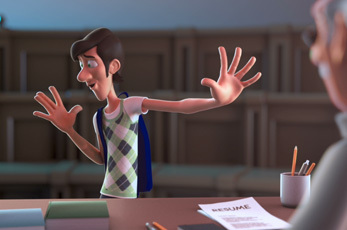 Prior to acceptance in the Animation program students must successfully complete the Animation track classes or provide the Review Board with a reel demonstrating the prerequisite skills needed to be successful in the Animation Program. 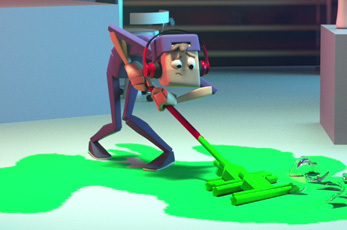 Each term in the Animation track and program is 11 weeks long. 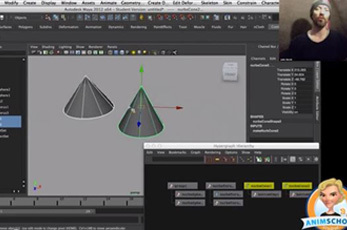 Learn the skills used to animate on feature films, tv productions, vr and video games. The principles of animation applied to character motion and locomotion. Students use our segmented characters in separate exercises to learn the concepts required for motion and locomotion, including balance, weight, center of gravity, posing, shape reversals, anticipation, motivated action, secondary action, reaction, silhouette, caricatured motion, twinning, asymmetry, and staging. Technical concepts such as gimbal lock, rotation order, euler filter, constraints, breakdowns, avoiding counter-animation, and Tween Machine are covered. Blocking techniques are discussed. Students learn how to make characters move with more weight, solidity, and believability in action scenarios. This class will give you insight into how to understand the art of pantomime acting. Students will begin to focus on how to make a character appear to think and make decisions based on external forces or internal motivation. Instructors will share techniques on important building blocks such as posing, staging, rhythm, solidity, beats/phrasing, appeal, personality, structure, solid and malleable parts, simplicity of form, straights and curves, texture in timing, and moving holds. Students will be able to explore story-telling in more depth, and will learn to stage their performance for best presentation to an audience. The exercise that all animators look forward to; Acting to dialogue. Now that you know body mechanics and pantomime body acting, you are ready to tackle the challenge. Students will learn how to select dialogue clips, and how to present the ideas in the audio in an interesting way by clarity of acting choices. In Character Performance you will explore how to make a character seem alive, and how to craft a believable performance. You will explore who your character is in order to find that place where genuine acting choices come alive in your scene. Students tackle the demanding task of facial acting in more detail. You will learn to animate a line of dialogue with the main focus of the shot being the subtle emotional beats in the face. In Facial Performance you will dig into the nuances of facial animation that will help you to understand how and why to build a facial pose a certain way. Learn when and why to draw the audience in tighter. Explore how the face works as a whole unit and shape, and how the small pieces play a role in delivering subtle changes in the character's thoughts. Instructors will dive deeper into facial acting, and demonstrate why strong facial acting is important to infuse depth and personality into your characters. This master class is designed to help students get that extra spark of life and appeal in their animation. 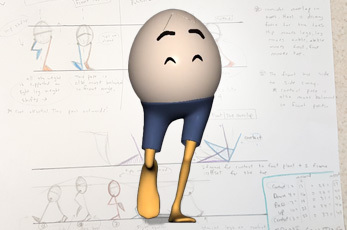 This class is taught by the most talented AnimSchool animators. Their goals: to help you learn to make the best, most entertaining acting choices and to achieve a high level of polish and sophistication. Instructors guide you with the broad strokes and the tiny details that will help take your work to the next level. 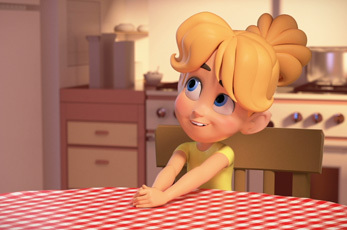 Students animate new acting shots, and get help polishing their demo reel. Game animation students learn the animations, tools, and skills specifically required for working in games. Students learn about game theory, interaction, working with game engines, importing animation into the Unreal Engine, and working in game cinematics. AnimSchool animation students can choose a gaming emphasis, replacing animation classes 5, 6 and 7 (or take them after completing the program). Animators learn what it takes to work in the ever changing gaming industry and how make assignments set in a game development environment. Students coming out of the courses will have essential demo reel material required for most video game animator positions for gameplay and cinematics. Students learn game theory, engines, and a basic understanding of pipeline. 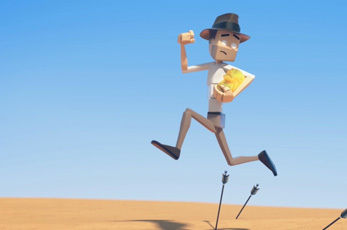 Students create player and enemy animations, using AnimSchool's game character rigs. It's about GAMING! Each week students should send their teacher a current export of their plotted animation (.fbx) to be viewed IN ENGINE and also provide a playblast from Maya from front, side. They should also be playing new games and come ready to discuss what they liked and didn't like about it. Students learn about working within a game development pipeline using the Unreal Engine, while exploring new animation states that broaden their technical abilities. Students expand their moveset of player and enemy animations like pushing/pulling, climbing, and more! 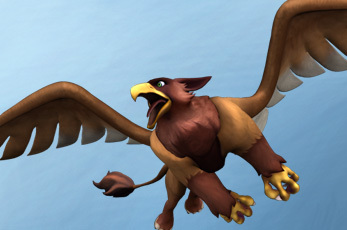 Students use AnimSchool's quadruped rig, "Hellhound"! Students create the story moments that make games memorable, put together a story sequence with existing and new animation, and study camera techniques to make game cinematics animations! They learn how to be fast and efficient with their animations along and learn how to apply to game studios.